11/10/2013 – Short video argues the point that if changes are not dramatic, we can run the risk of dismissing the danger until it is too late. I think we can all agree that people are too busy to consider change… plus… we don’t like it. So it becomes an issue of when is a problem severe enough to warrant action? Where do you stand? Important Note! 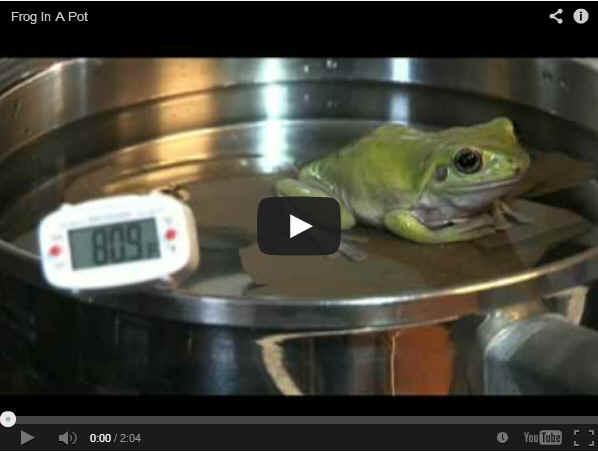 No frog was hurt in the making of this video.